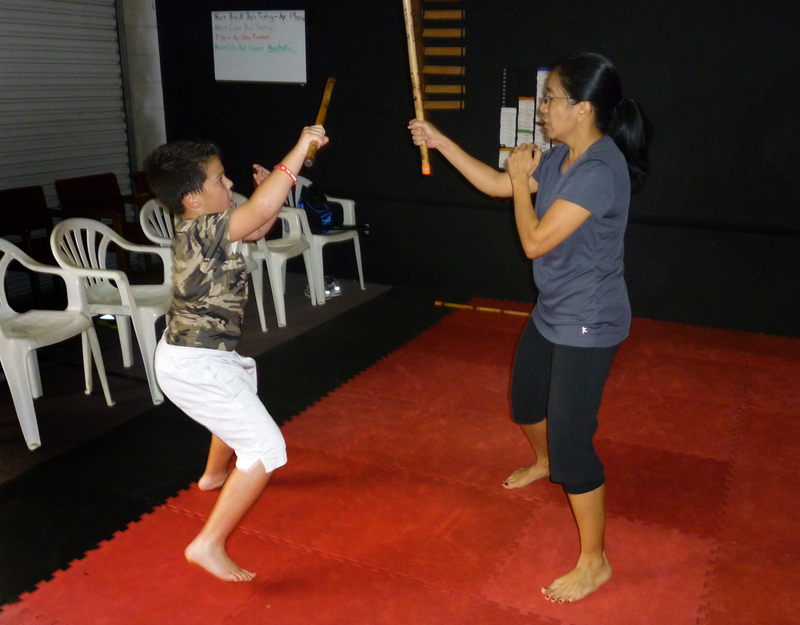 I think our female training partners already strike and defend a little tighter, and have a little more footwork, but I am biased, I think they’re great. NONETHELESS, we will continue to train – for personal development. 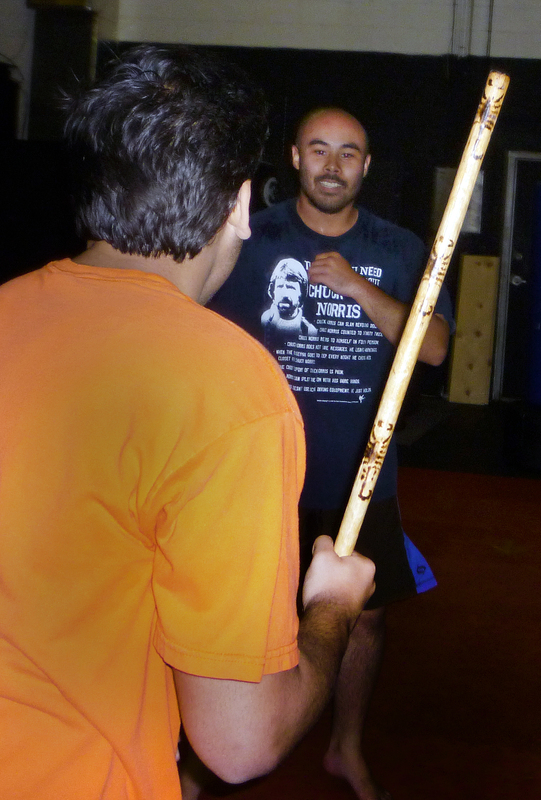 Rick Vargas Kali Silat and Self Defense at Black Lightning Martial Arts. We added new partner drills. Remember, there are drills for everything, lots of drills, and more being made up every day. Some practitioners boast how many drills they know, others, only know a few. However, the point is not the amount of drills you know, but to develop the skills the drill teaches in order to apply those skills effectively as needed. You can learn those in as few, or as many drills as it takes to learn them. I’m not as concerned about how many drills you memorize as I am about how well you can do what they propose: a good forehand or backhand strike when needed. To get you that skill we’ll try established and creative drills to get you there. So, if you have trouble with one drill, don’t be discouraged, there is another you’ll naturally do better at. I especially like to get the ones that are more “natural” through you, than the ones that take greater effort and time. The latter become an issue of personal development and perfection, which can be lifelong and beyond the pale of my presence. 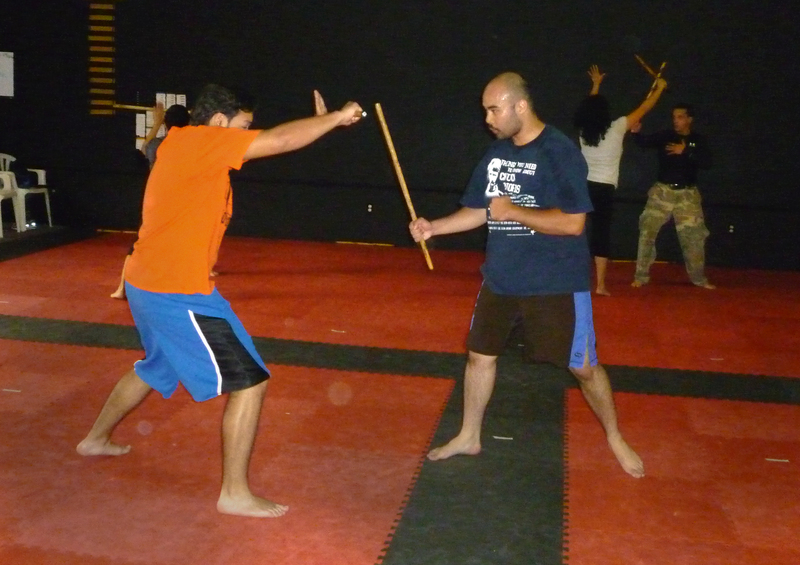 The natural ones we can achieve in a few sessions and will be valuable for your self defense. I was very encouraged when a master instructor I highly regarded once told me about a particular drill I was struggling with; “I don’t know that drill, but I know every move in it.” I eventually learned the drill, but better than that, I understood every movement in it. You can restructure the drill in any order you want and I may not know the new sequence, but I know a thrust, backhand, forehand, and blocks, and I will adapt quickly. Once you know the moves, the particular drill wont matter.